Book number 1 in THE OUTLIERS trilogy. It’s been a while since Wylie and Cassie have been best friends. But when Wylie gets a cryptic text from Cassie asking for help, she sets off with Jasper (Cassie’s questionable boyfriend) to save her ex-best friend from herself. But as Cassie’s sketchy directions lead Wylie and Jasper farther from home, Wylie worries they are rushing headlong into something much more dangerous. Then again, Wylie has spent a lifetime controlling her overactive imagination, but it’s much worse since her mom was killed in a car accident and her scientist father retreated into his research, leaving her to grieve on her own. When things on the road go from bad to worse, Wylie and Jasper realize that they are already in too deep. And that the real danger is much different—and more frightening—than they ever could have imagined. 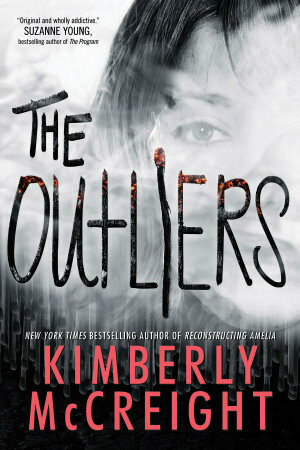 A gripping tale of fierce loyalty and misplaced trust, The Outliers chronicles a journey that will forever change Jasper, Cassie and Wylie. One that might just change the world. See The Outliers trailer here. —Julianna Baggott, bestselling author of Harriet Wolf’s Seventh Book of Wonder and the Pure trilogy.